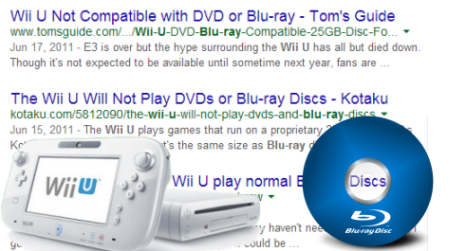 Most users find it difficult to enjoy Blu-ray movies on Wii. Yes, it is true that neither the Wii, nor the new Wii U plays Blu-rays. Nevertheless, it does not mean that it’s impossible. The fact is that you can play Blu-ray on Wii with a lot of ease as long as you can get the correct methods. We know that there are two elements which decide if a blu-ray movie disc can be played: the hardware (blu-ray drive) and software (app to play blu-ray disc). Let’s check these two factors of Wii and Wii-U at first. 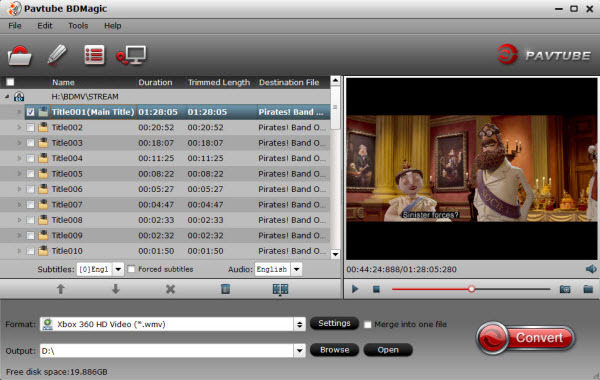 *　Wii equips a DVD drive, the preset app “Photo Channel” can play AVI/MOV video with MJPEG format. * Wii-U equips a modified Blu-ray drive, there is a “hidden function” to stream MP4 video from computer to Wii-U. Pavtube BDMagic offers specified video formats for Wii U or Wii and many other game hardware like PSP, PS4, Xbox 360, Xbox One and more. With it, you will be able to watch any Blu-ray movies via Wii U and Wii. It’s well compatible with Windows oprating system and converting with fast speed and extremely high quality. 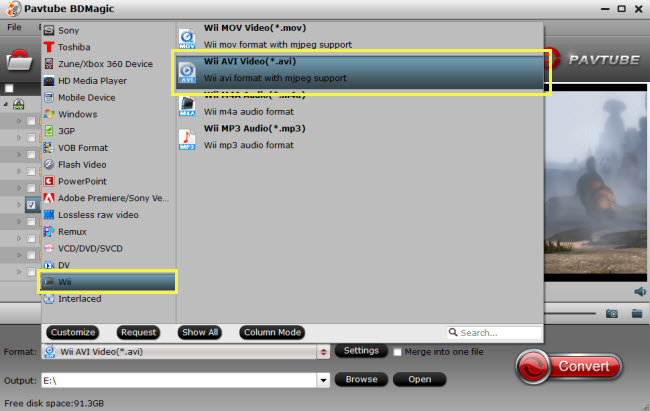 Below are the steps to change Blu-ray format to Wii with Pavtube BDMagic, only with a simple clicks, you will finish the conversion from Blu-ray to Wii acceptable format. Read the review. And pay attention to the converted file size. If the video is converted from Blu-ray disc, the file is always pretty large. But the Wii has a poor support for a video larger than 2 GB. Therefore, when you rip & convert a Blu-ray movie to AVI/MOV video, please lower down the quality to control the file size. The Mac equivalence to convert Blu-ray to play on Wii-U and Wii is Pavtube BDMagic for Mac. Click the put down menu of “Format”, and then hit “Wii” preset. Wii MOV Video(*.mov), Wii AVI Video(*.avi) are supplied for Wii-U and Wii and suitable. Note: If you have 3d blu-ray discs and want to get them playable for the 3D Devices or 3DTV, you can also use Pavtube BDMagic and choose “MKV Top-Bottom 3D Video (*.mkv)”, or “MKV Anaglyph 3D Video (*.mkv)” or “MKV Side-by-Side 3D Video (*.mkv)” which can retain the 3D effect. Read the difference Anaglyph 3D and Side-by-Side 3D. Finally click the Convert button to begin ripping Blu-ray to Wii-U and Wii video format. After encoding process has finished successfully, go into the destination directory and drop the converted files into Wii. Once all this is done, your movies will be ready to play with Wii U and Wii. Just enjoy.